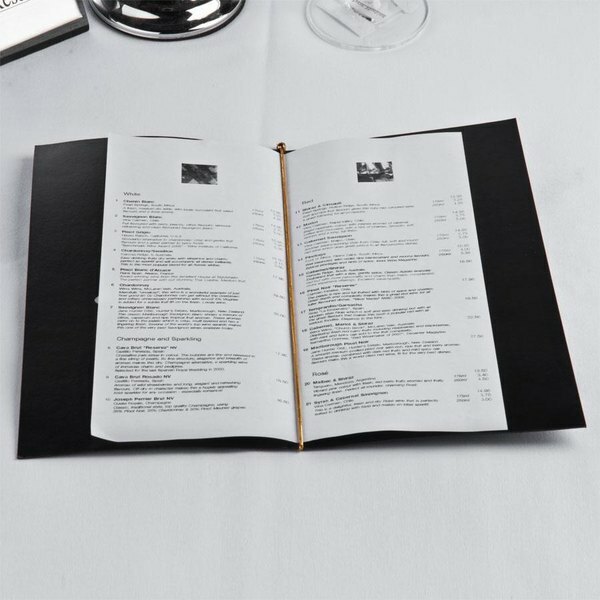 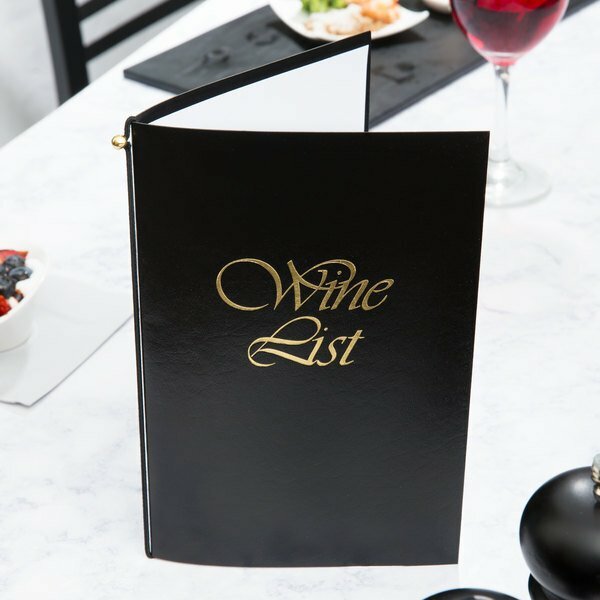 With the words "Wine List" eloquently gold-stamped on its center, this 5 1/2" x 8 1/2" black wine list cover is an attractive and affordable way to show your customers all of the delicious wines they have to choose from at your restaurant! 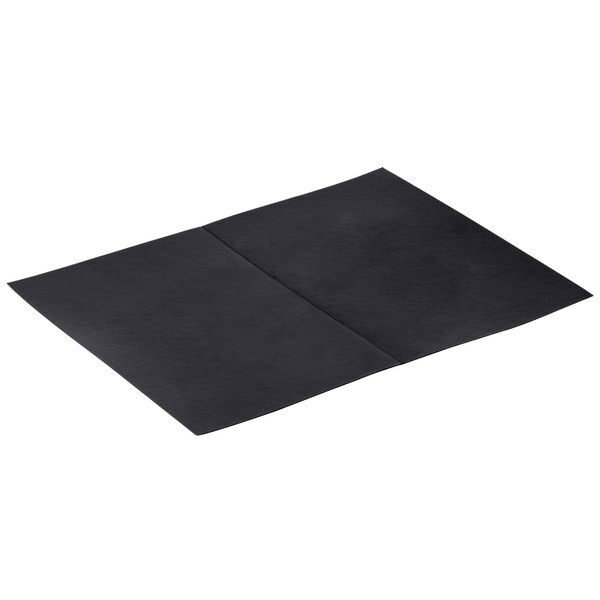 This cover is made to hold 5 1/2" x 8 1/2" inserts. 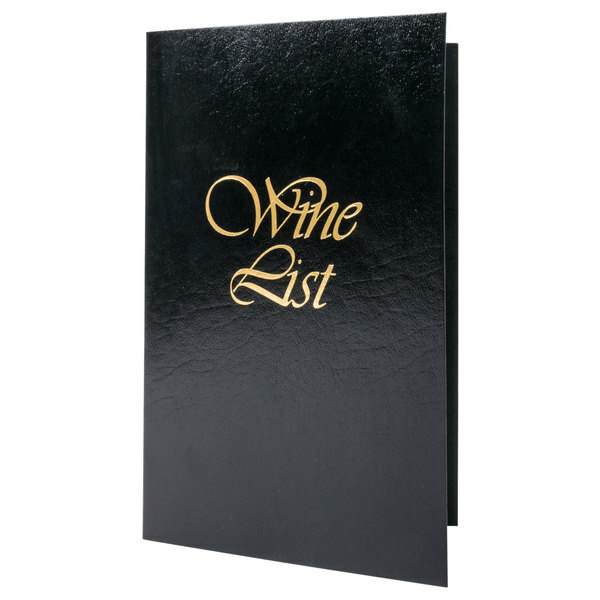 This is a perfect size, color and texture for a wine list cover. 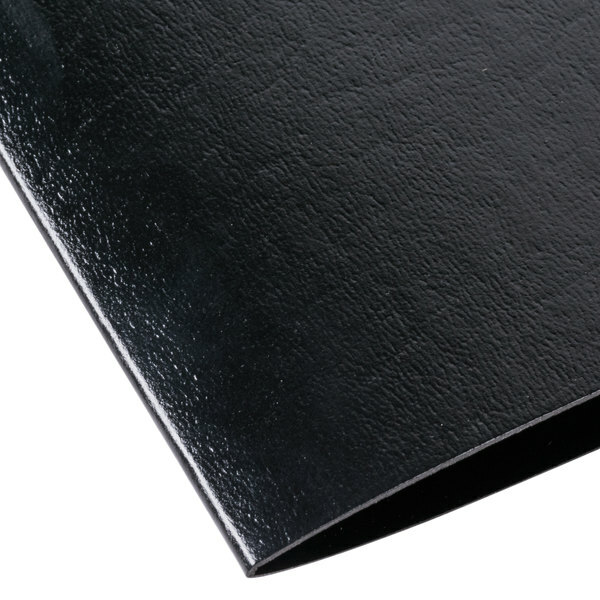 It is very attractive and really catches the customers eye. 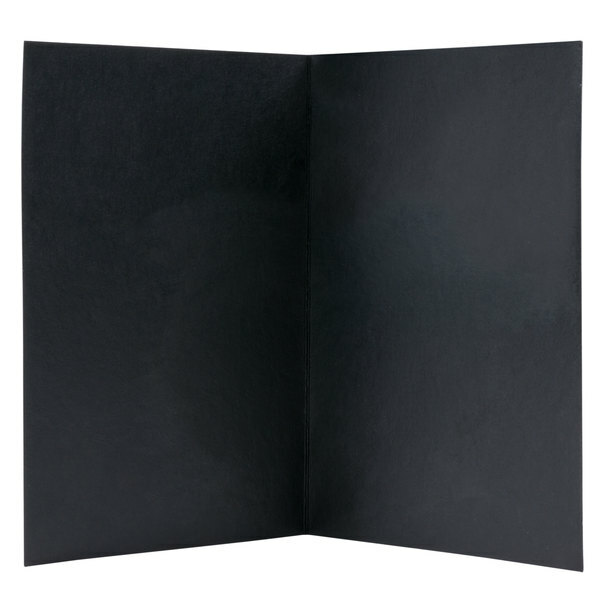 There great! 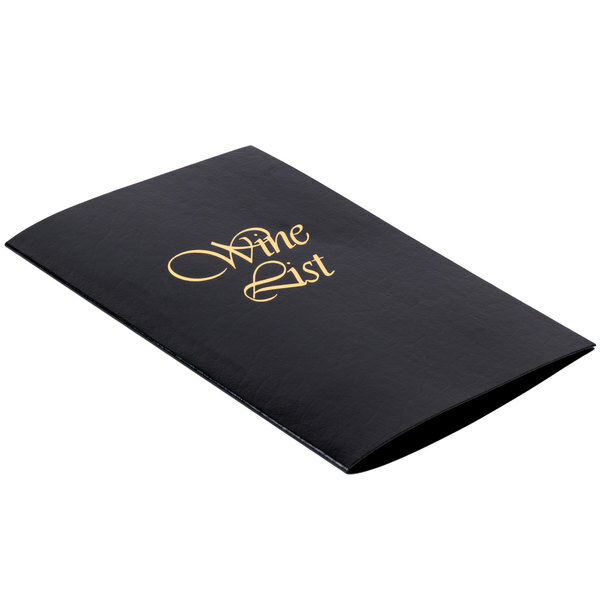 They are perfect for casual dining atmosphere.For those who are looking for the products to fit the budget with nice expression from the front design ( gold imprint)and the elastic bands to match it to make them look more likely customized ordered menu.The inserts can be made with regular paper size and own PC for color printing (cheaper than printing company) at least we don't have to pay for the set up fee. The care instructions come with it from the manufacturer and they are easy to keep them clean and last longer.Again thanks to Webstaurantstore to pass along the big savings and good products.